A former Boulder City resident who was sentenced to house arrest for mutilating cottontail rabbits could remain in jail after allegedly making threats against a prosecutor. According to court records obtained by the Boulder City Review, Devon Yslas was in court Aug. 7 for a status check, which had been scheduled five days after he was taken into custody because of accusations that he made the threats. Clark County District Attorney Christopher Laurent said there is ongoing investigation about those alleged threats. Previously, Yslas’ case was prosecuted by Amy Ferreira, chief deputy district attorney, but it had been reassigned to Laurent before the Aug. 7 hearing. According to court documents, Yslas’ defense counsel, Erick Ferran, argued that he should be able to return to house arrest, allowing him to retain the job he’d recently secured and continue his court obligations, as no new charges had been filed and the allegations were unfounded. Judge Victor Miller ordered he remain in custody at the Clark County Detention Center until an evidentiary hearing at noon Tuesday, Aug. 21. In February, Yslas pleaded no contest to two counts of cruelty to animals, one count of wanton waste of game (amended from hunting out of season), one count of unlawful manner of hunting with aid of artificial light, and hunting without a license or permit. He was arrested Sept. 7 on suspicion of unlawful camping and making a false statement to/obstructing a public officer. During that arrest, officers spotted evidence that connected him to the mutilation and death of several rabbits the day before in Bootleg Canyon Park. Miller sentenced Yslas on July 10 to six months in jail to be served through house arrest for one charge of animal cruelty. 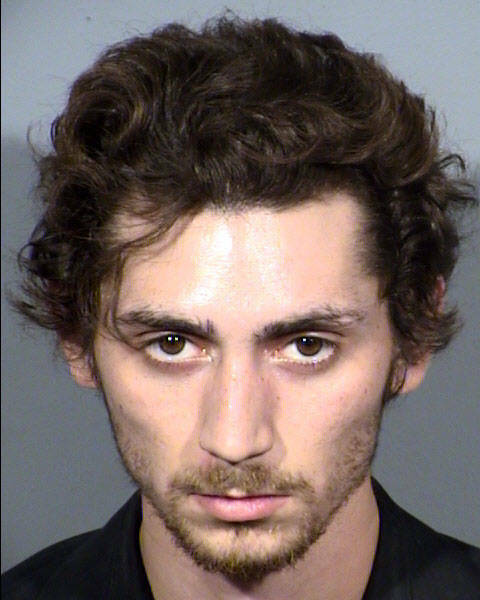 In addition, Yslas was required to do weekly psychotherapy sessions, have no contact with animals for six months, do 50 hours of community service and stay out of trouble for six months. That sentence runs consecutively to his other ones in this case. Miller withheld sentencing for one count of animal cruelty pending results from Yslas’ psychological exam and tests before issuing a sentence on the final charge.